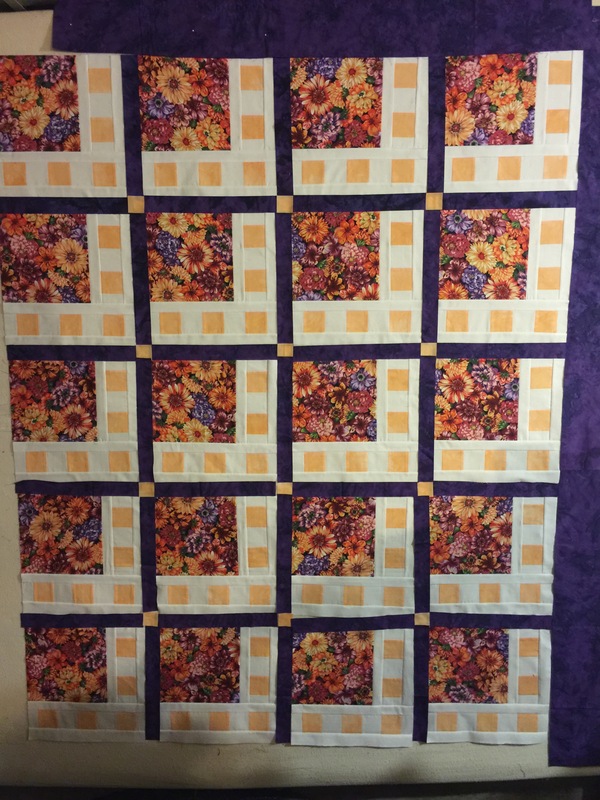 I thought this would be a quick quilt to make and so far it has been. I sewed on it yesterday, when I needed a break from the LongArm. 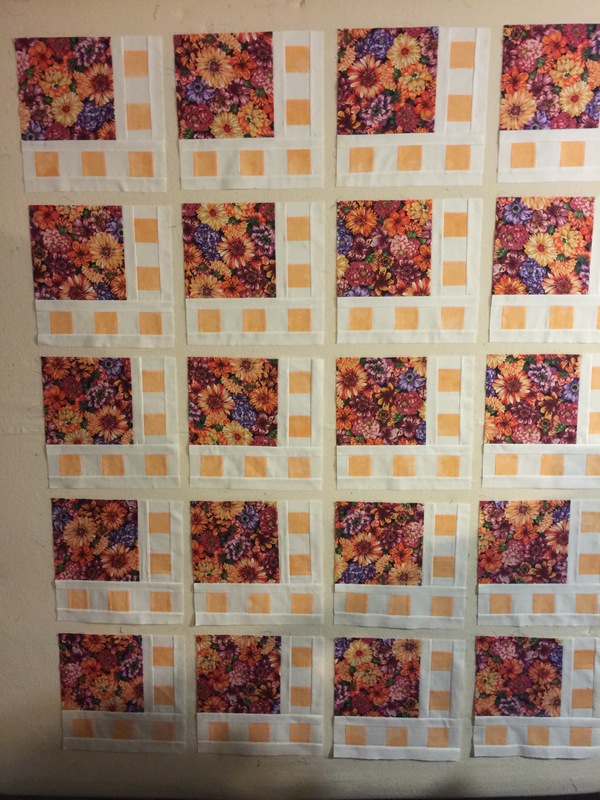 I have all the blocks pieced and up on the wall. I cut the sashing strips and cornerstones and put them on the wall with the blocks. Also a couple of strips of the purple. So this is how it should look when it’s done. 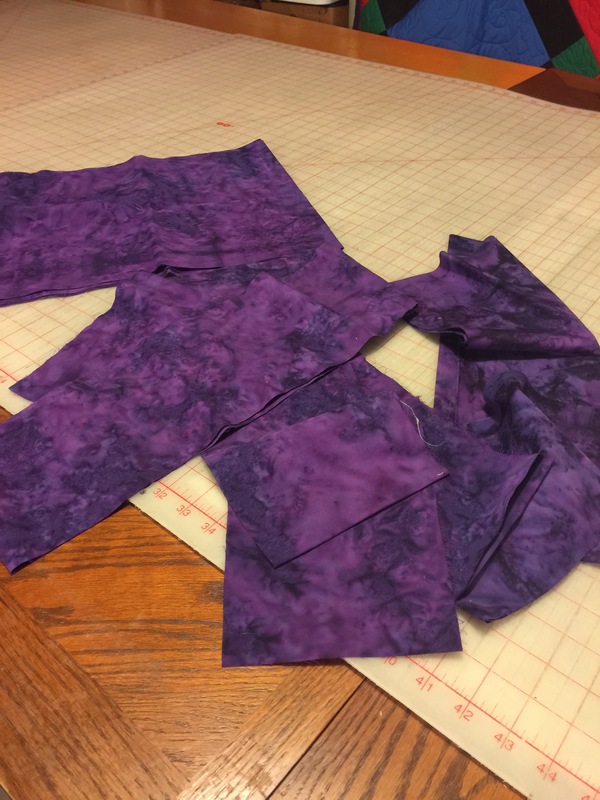 A few minutes of sewing…..